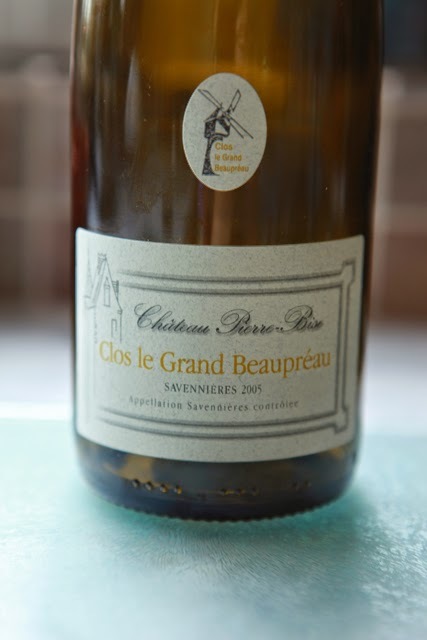 We recently drank this 2005 Clos le Grand Beaupréau, Savennières from Château Pierre-Bise. 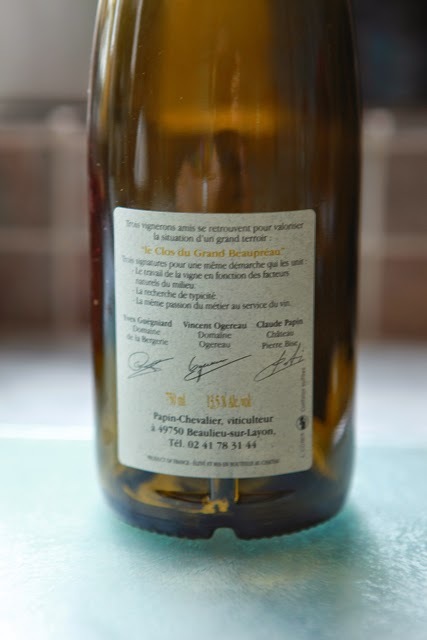 Clos le Grand Beaupréau is a vineyard up on the plateau of Savennières by Le Moulin de Beaupréau, a very well appointed chambres d'hôtes with an internal swimming pool. 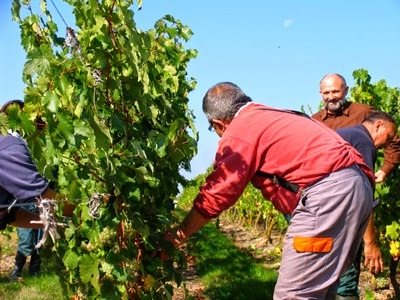 The vineyard is shared between Yves Guégniard, Vincent Ogereau and Claude Papin, who each have their own rows of vines. The 2005 Pierre-Bise Savennières was impressively good. There have been times in the past when their Savennières has just been too rich and ripe for its own good. Whereas this 2005 is very nicely balanced with rich fruit including a touch of honey but contrasted in the finish with a fine backbone of acidity. To be enjoyed now or to keep for a good many years.